This one deserves a click to full screen mode. 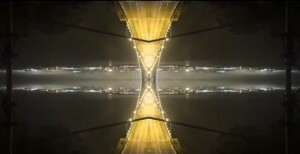 Mirror City was created by photographer and filmmaker Michael Shainblum. 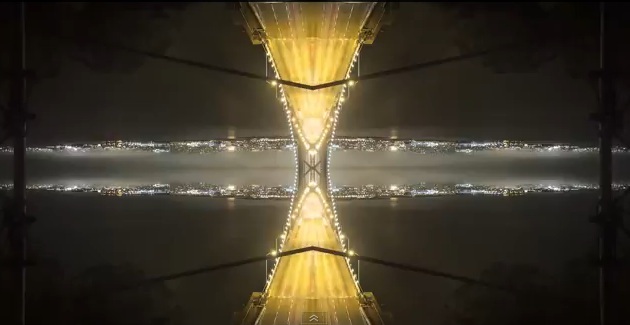 Shainblum took timelapse photos of several iconic American cities (Chicago, San Francisco, San Diego, Las Vegas and Los Angeles) and then applied a kaleidoscopic technique, producing a hypnotizing mirror effect that turned some familiar images on their ear, making them fresh and new. And make no mistake, this wasn’t just some fun toss-it-together-in-a-weekend kind of project. It literally took Shainblum years of painstaking work to complete what you’re going to see here. You definitely should take the time to go visit Shainblum’s website too. I promise you will not be sorry. He has some stunningly beautiful work on there. His astrophotography blew me away. It reminds me of some of filmmaker Ron Fricke’s work. Next Post Santa, is that you?